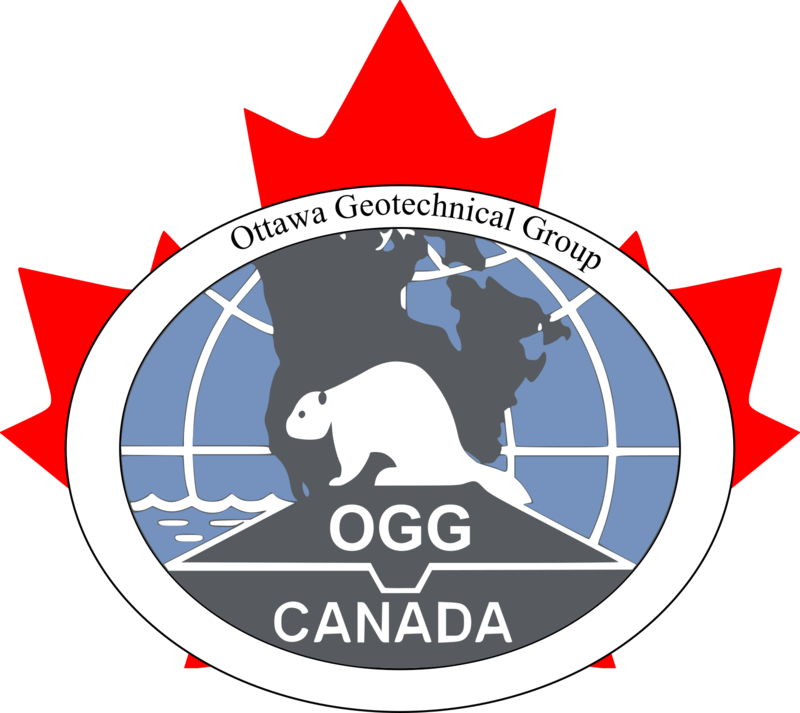 The Ottawa Geotechnical Group (OGG) represents geotechnical engineers and geo-scientists in the national capital region and is sanctioned as a local chapter by the Canadian Geotechnical Society. The OGG includes about 200 members representing civil, geotechnical and environmental consulting engineering firms; municipal, provincial and federal government organizations; academia as well as a strong student contingent. The Group offers a forum for these practitioners and scientists to network through our monthly professional development series, student forum and banquet. Interested in becoming a Member ($) or Sponsor ($)? Send us an email and mail a cheque payable to Ottawa Geotechnical Group, or you can pay online for membership here. Membership/Sponsorship runs from September to August. If you wish to keep up-to-date with the OGG and receive announcements about upcoming events, you can join our mailing list by following this link. You can also get information through our RSS feed. Copyright © Ottawa Geotechnical Group. All Rights Reserved.